I designed these extras to compliment my Pink Floral Scraps . Papers are 3600 X 3600 .jpg at 300 dpi. Other elements are in .png format. The tiles have transparent background and have no drop shadow. Use as fill for paint bucket, brush or vector shapes. Add texture for variety :) ..and play with blend modes. In my example below, I have simply applied with a low opacity brush. I have also supplied a greyscale version ready to convert to a brush. So lovely, thanks so much. Very pretty! Thank you so much for sharing. How beautiful! Thank you ever sooooo much! Thank you so much for this post. 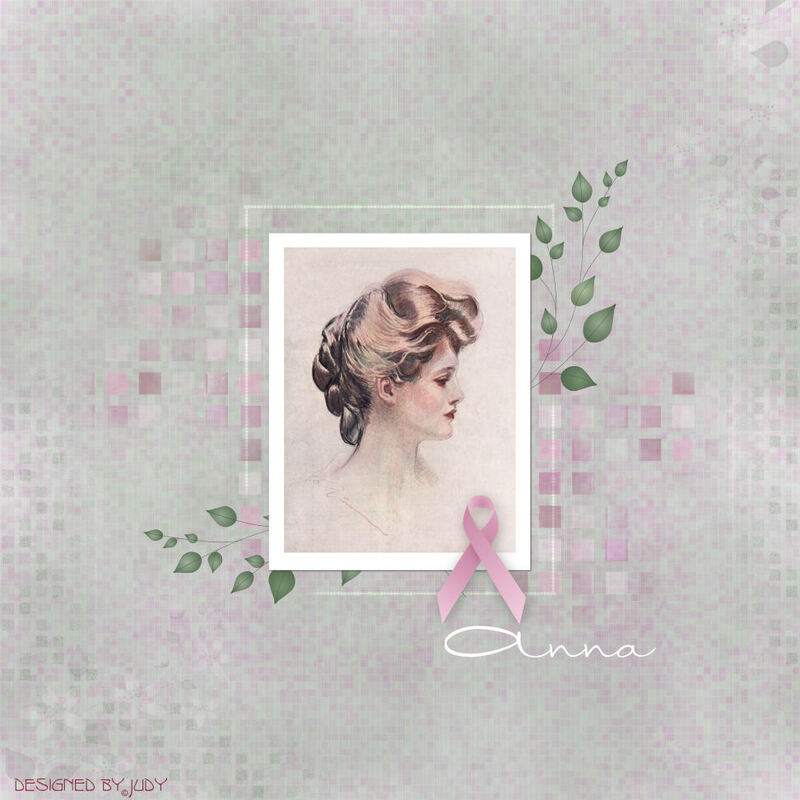 I want to let you know that I posted a link to your blog in CBH Digital Scrapbooking Freebies, under the Elements or Papers post on Oct. 07, 2010. Thanks again. 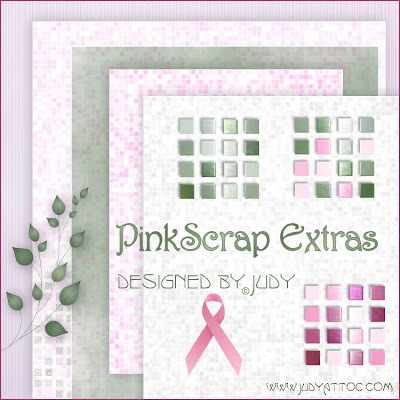 Beautiful addition to your think pink kit Judy, thank you.